If you ask Us, the best way to calm our spirits and give our body the TLC that it needs is with a nice cup of tea. Whether we’re getting ready for work, lounging around the house or in need of a pick-me-up throughout the day, a warm cup of tea always does the trick. While there are plenty of options on the market, we love to indulge in a flavor that’s not only tasty but also works to complement our healthy lifestyle. Luckily for Us, Amazon’s number one bestselling detox tea is on sale. Throughout the holiday season, we have been overeating and overdrinking and now we’re beginning to feel the effects. Instead of letting this sluggish feeling slow Us down, we can now take charge and get our bodies back on track! 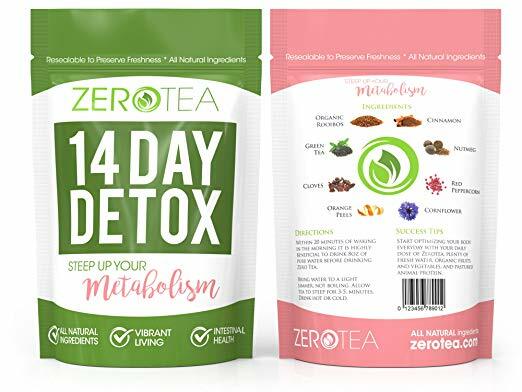 See It: Grab the Zero Tea 14 Day Detox on Amazon for 40 percent off the original price of $25, now starting at $14 while it’s still in stock. Also available with Amazon Prime. Please note, prices are accurate at the update date of publication, January 1, 2019 but are subject to change. While hitting the gym is always a great option, sometimes our body needs just a bit more of a boost to get back to our normal state. Now is a great time to flush all of the toxins out of our system and this brew is the perfect place to start! 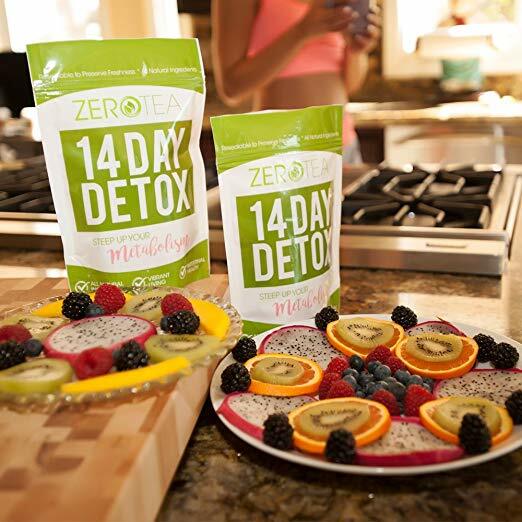 A great addition to any fitness regimen or a smart way to slowly get rid of excess calories, the Zero Tea 14 Day Detox will not disappoint! Who would have thought we could sip our way to a healthier lifestyle? Made from a tasty blend of natural and organic teas and spices including cloves, nutmeg, red peppercorns, organic rooibos cornflower and more, this drink is the real deal. A great way to help increase our energy levels while boosting our metabolism, this blend will become our instant go-to. It’s also full of green tea and cinnamon for a natural taste we can enjoy over and over again. Designed to boost the body’s ability to process excess fats, stimulate blood circulation and providing essential antioxidants, vitamins and minerals, this beverage will help Us calm and cleanse our body with ease. We love that this product is a gentle detox. Working to support the positive bacteria that live in our stomach, this formula works to give our digestive system the kick that it needs! Even better, this product aids the body in flushing out excess water to keep the sluggish and bloated feeling far away. Unlike other detox brews on the market, this drink has no harsh laxatives. We’re also huge fans of its anti-inflammatory ingredients! The orange peels contain a compound that has antibacterial and anti-fungal properties that work to keep unhealthy organisms in our body at bay. With two detox plans we can choose from, a 14-day or a 28-day plan, this tea will boost our spirit and calm our body from the inside out. Easy to use, this detox beverage will become a part of your everyday routine instantly. Simply drink a glass of water while brewing and before drinking this blend. It’s easy to make, too. Just boil water to a light simmer, allow the tea to steep for a few minutes and it’s ready to drink. Depending on your preference, it can be drunk hot or cold, too. Amazon shoppers are totally smitten with this detox brew. Many reviewers love that this product is delicious and tasty without the need of any sugars, while others like that this blend has helped them shed a few pounds. Shoppers also dig that this beverage works wonders for bloating issues, while others like that it complements your daily workout and helps to show results within the first week of use! Many reviewers also appreciate that there are no harsh laxatives in the product, while others like that the aroma is very soothing and calming to satisfy any true tea lover. Shoppers also like that this offering does, in fact, boost your metabolism and increase your energy levels, while others also enjoy the faint apple cinnamon taste. Loved by many for its ability to kick any cravings you may have, we completely understand why shoppers can’t get enough of this blend. A great product to keep handy, you can bet that we already have placed this detox tea in our shopping carts! There is nothing better than feeling focused, energized and healthy and with this tea, the possibilities are endless. Trust Us, you can never go wrong by taking care of your body!